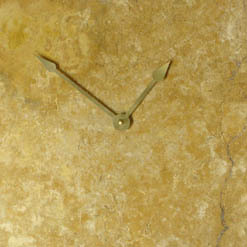 Every piece of stone used in our decorative wall clocks is imported in large lots. 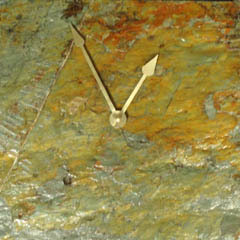 These lots are examined by our Pebble artists, and only the most colorful, unique pieces are chosen to be made into wall clocks. No two stones look exactly alike, and every piece has its own unique colors and shapes. 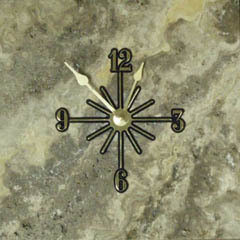 Our clocks are hand assembled, given an optional, border, and are treated with a light sealant to maintain the color of the stone. 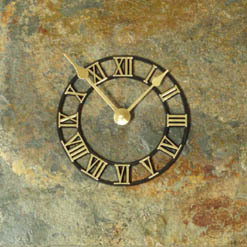 Every wall clock has the option of several different faces, borders, and alignments. A dramatic visage of powerful colors sweeps across the surface of this stone. 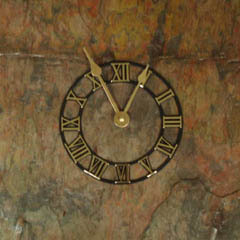 Pink wars with orange, amber battle violet, and in the end, the result is a moving work of natural art, turned into a functional clock for your walls. 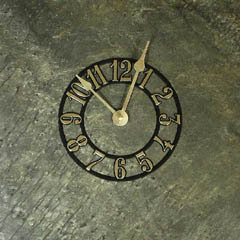 Deep rustic textures mix with a wide array of powerfully contrasting colors, to create a clock which is distinct, moving, and forceful, yet subdued enough to fit into just about any decor. Explosions of color rock the midnight world, brilliant yellow golden rays beat back against the encroaching night, giving a sense of hope and even exhiliration to the entire surface of tehse delightful clocks. Rustic red tones meat with earthen hues, and are broken by patches of violet gold which seam to overshadow the entire piece. Powerful, rugged, a delightful centerpiece for any home or office. Soft green waves float by without a care, when suddenly they are struck by the amber tones of dawn, which rise up to cast fire over the surface of the quiety depths, lighting it with a spectacle of tone and hue. The deep textured night is broken only by the clouds of gold and amber hue, which float listlessly back and forth across the surface of these clocks, creating some pretty amazing contrasted effects. Red orange and gold are all at war, even as they seak to overcome the stoney gray of their backdrop. 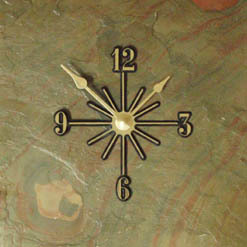 Wild, erratic, powerful, and moving, multi china wall clocks are some of the most unique pieces in the world. All natural. Witness for yourself the violent passions of the earth itself. Deep and dark, earth tones dominate, yet if you look closley, you can see the teaming rays of red and amber, which act as the life blood of these stoney pieces. 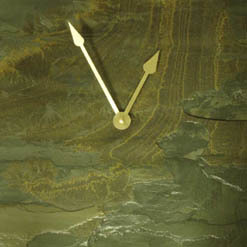 A fierce array of forrest tones adorn the surface of these marble wall clocks. Deep greens mesh with brown boughs, in a wild collection of colorful patterns, produced by mother nature herself. 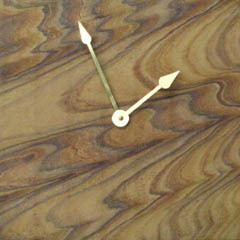 Oak wood brown is a powerful and unique marble, that contains a wide array of contrasting brown tones, all at war with one another across the surface of these attractive wall clocks. Shimmering silver clouds float lazily on a dark backdrop, casting their glow throughout the piece, and elevating the energy of the stone. 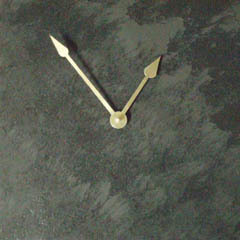 Simple stone gray is illuminated with a golden haze, and then spotted with an array of unique depsoits which serve to give this honed stone an almost textural feal. 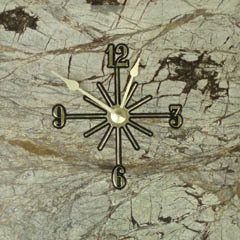 Midnight shatters, as all the hues of darkness are seperated out and then brought back together to combine and collude and compete for the surface of this lightly graded stone wall clock. 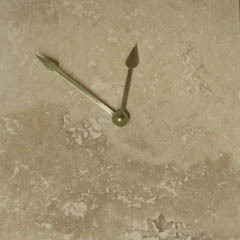 Earth tones meet tan hues to create a symphony of contrasts, which is further enhanced by the pitted textured surface of this exotic natural limestone. A subdued travertine with a classic feal, that brings to mind great works of classical art and architrecture, such as the coliseum in rome. 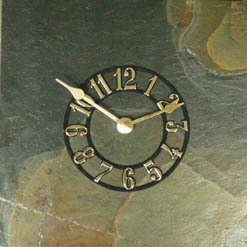 Subdued yet stylish, a classic clock for the sophisticated home. 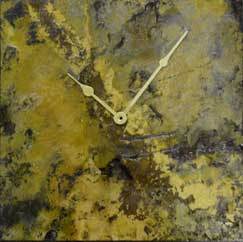 Bright and sunny tones of yellow sweep across the surface of these clocks, like a field of daffodils smiling happily up at you. 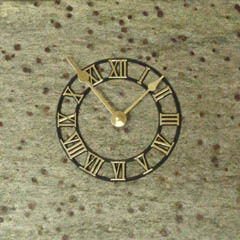 A chearful and heartwarming timepiece for any home. 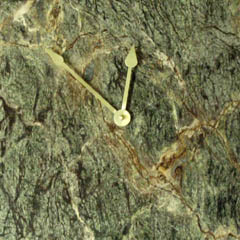 Green and gray are met by a smokey golden haze, which floats across the surface of these stone wall clocks, giving them an elevated and sophisticated appearance. 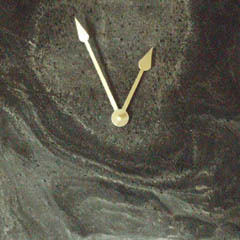 Meanwhile all of this is matched by the rough rustic textural feel of the natural stone itself. 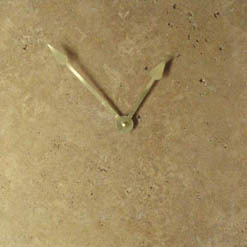 Subdued contrast, lightly graded tan tones meet one another ina silent dance, captured forever beneath the honed surface of these attractive natural stone wall clocks.